You know the summer has truly arrived in Bristol when there’s a mysterious roar above your house and a hundred hot air balloons float by like migrating geese or a murmuration of starlings. Is there a collective noun for a group of hot air balloons? A thermal? A drift? I’m sure there’s a beautiful word that sums it up perfectly. The Bristol International Balloon Fiesta kicks off this Thursday at the glorious Ashton Court Estate, when there is a mass of hot air balloon ascents at 6am and 6pm every day until Sunday (a lovely sight if you’re commuting), plus a strange event they call the Night Glow on the Thursday and Saturday night. This involves a lot of hot air balloons – some oddly shaped – tethered to the ground lighting up in time to pop music. There’s something a bit twee about it, but also strangely hypnotic, like watching a firework display. As well as these events, there are all the usual trade stands, a stunt-flying display from The Blades and plenty to do in the Ashton Court Estate itself, including walks in the woods, mountain bikes to hire, pitch and putt and a deer park. I’ve also heard – whisper it – that there’s going to be a special guest appearance by the sun. It's free, and you don't even need to worry about missing the Olympics – there are big screens all over the centre of the city and deckchairs to watch it all from, laid-back Bristol style. 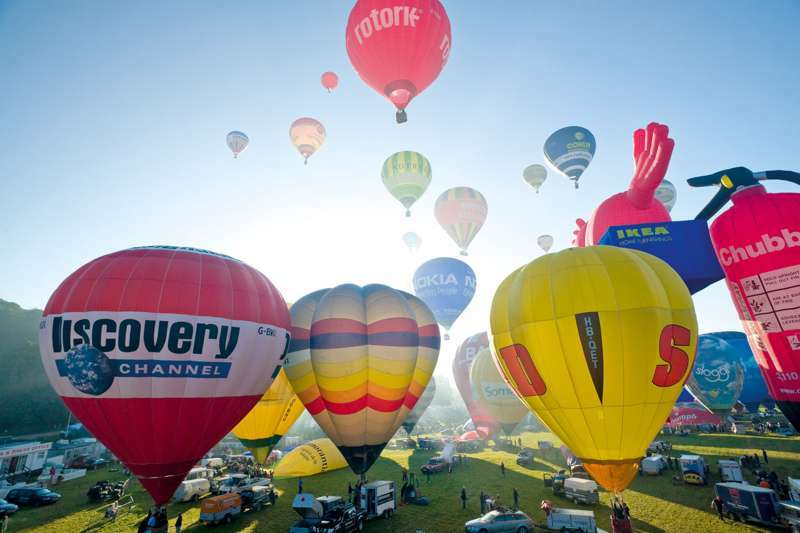 Bristol International Balloon Fiesta, August 9–12.